CATERSVILLE GA. 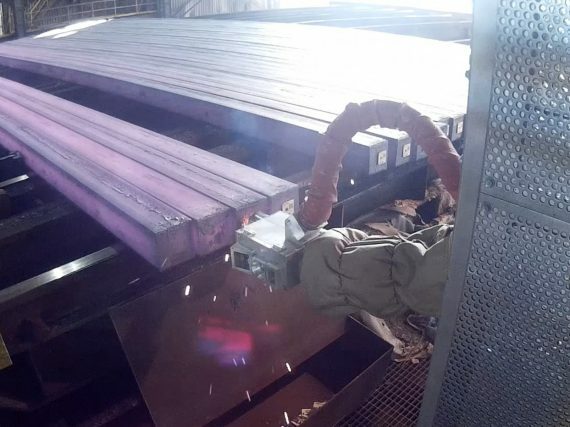 The American company BMGroupUSA, exclusive distributor of Polytec Robotics brand in North America, has won a new order from Gerdau GNL for the supply of a hot billets tagging robot PolyTAG BLE that will be installed at Catersville Steel Mill. This plug&play smart robotic system will use the best machine vision technologies to identify the perfect position and will automatically apply a tag to each billet with a welded stud, with an operator’s safety improvement and a more reliable tracking system. This is the fifteenth robot installed by Polytec Robotics in USA. Polytec Robotics is worldwide leader in robotic solutions for steel industry.